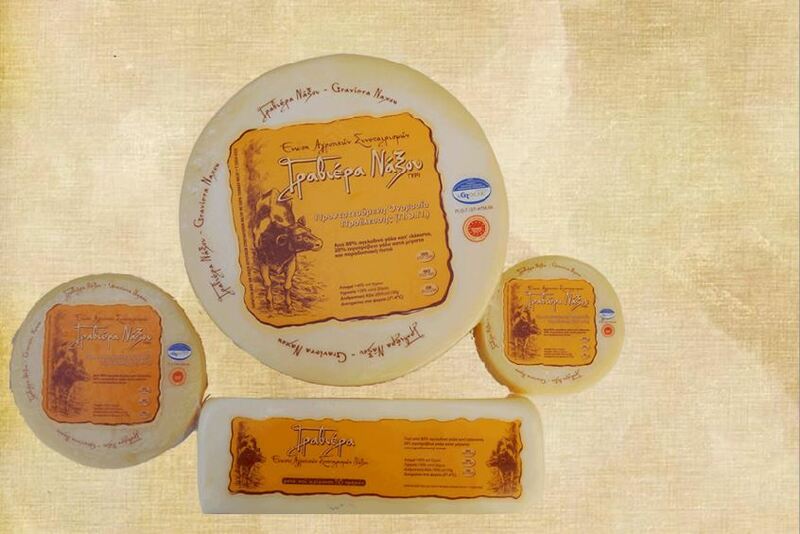 One of the most famous international products of the island is the Graviera (gruyère) of Naxos. It is a product of Protected Designation of Origin (PDO). It is produced in the creamerσ of the island with pasteurized cow’s milk and sometimes with the addition of a small amount of sheep’s milk. Gruyere is a yellow slightly hard cheese. It has 40% fat and salt content 1,2-3%. Graviera of Naxos has earned a place in the heart of all those who love cheeses and is available in stores all over the world.